THE DAILY PIC: At Lehmann Maupin, Emin's embroideries cast emotion as artifice. THE DAILY PIC (#1566): “It is about love and the reflection of love; the desire to melt into the image of someone else, the fantasy of love.” That’s Tracey Emin’s heartfelt take on her new work at Lehmann Maupin gallery in New York. But I feel that her show, like most of the Emins I’ve admired before, is much more about casting doubt on the credibility of such forthright sentiments. 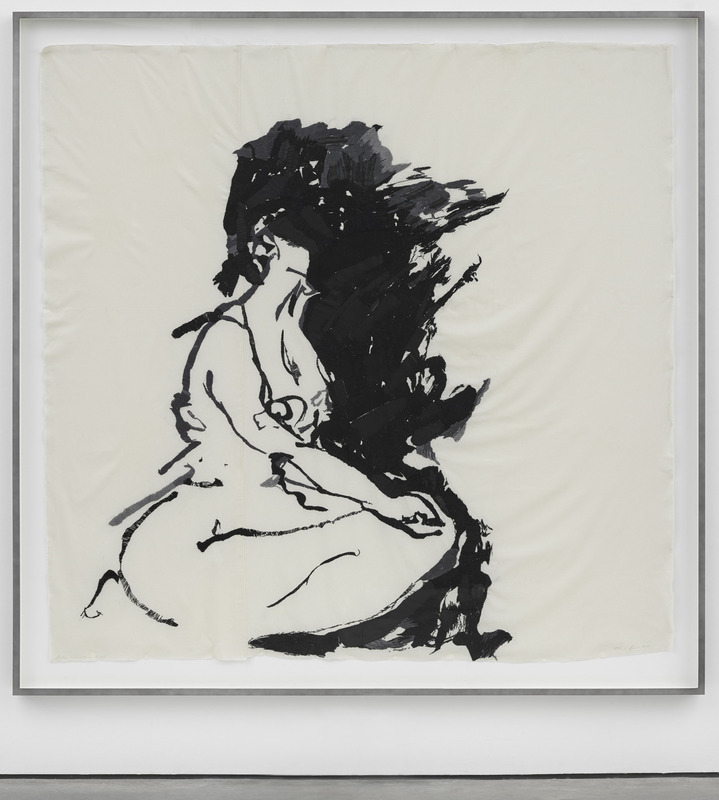 It took such a laborious process to get to this final piece – going from a photo, to a sketch by Emin, to its enlargement as a collaborative needlework – that the spontaneity of true emotions evaporates along the way. Contingent “feelings” get frozen, monumentalized, reified, to the point that they seem utterly artificial, just another device constructed by culture. They become an esthetic creation to be consumed by others, a commodity to be traded.